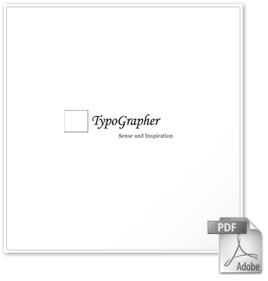 This site is about typography, namely to give you the chance to sharpen your typographic skills. To gain a deeper knowledge of the intent of that site and typography at all, we refer you to the pdf 'Sense and Inspiration'. 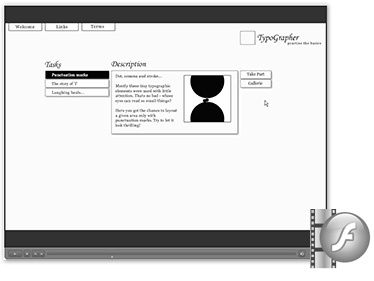 The heart of that site is our flash application - the 'TypoGrapher'. To get an insight watch the video presentation. In case you exactly know what this is all about, push the start button!